It’s hard to focus on anything else if you are having trouble feeding, clothing or housing yourself and/or your family! KAV has networks to help you with job training, including interview training and direct employment opportunities with companies that like to give veterans the leg up you have earned. Lets start off with the fact that you should be on our weekly newsletter list, because we post LOTS of jobs that are immediately available and vet friendly. Next, you should know that the US Department of Labor has a program that rewards companies who are vet friendly in their hiring. “The US Department of Labor VETS brings together job banks, state employment offices, American Job Centers, opportunities in top trending industry sectors.” “VETS serve America’s veterans and separating service members by preparing them for meaningful careers, providing employment resources and expertise, and protecting their employment rights.” And that includes spouses. And finally, there is https://www.careeronestop.org “Your source for career exploration, training & jobs. Find information on local help, workforce development, employement and training programs, community services and unemployement benefits. If you are in California the biggest Free program we know of, exclusively for veterans is Work for Warriors. Over the last two years their unique system of helping the vet get ready and advocating with the HR directors of the companies you apply for has meant that they have placed over 200 vets a Month. Also, across the country you will find nPower, with Free training for tech jobs, including placement services. They even have free slots for the children of vets. Similarly, Work2Future has a Free, complete program from intake, to classes, certification interview training and placement. Finally, there is Zip Recruiter for Veterans https://www.ziprecruiter.com/zipcares/veterans (877) 252-1062. Not just for job searches, this site also has great tools to help you translate your military experience into civilian resume and interview terms, including videos. There are many other ways to find a good job, but Work for Warriors, nPower, Work2Future and ZipRecruiters are absolutely proven and work proactively for and with you, as opposed to job boards where you never know what happens with your submissions. 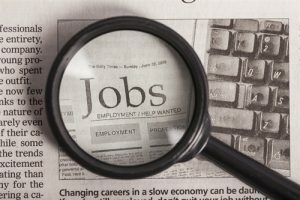 As a starter, here is a list of 50+ Best Websites For Job Search 2017, from Career Sherpa, as passed along to us by www.LarryRobbin.com. Both of these resources are excellent starting places. Once you have a job, so you can afford some of the things you want, you can get on to the issues that will keep you growing, such as Anxiety, Relationships, Sleep Issues, Addiction, Flashbacks, Depression, PTSD, Withdrawal, or any of the other issues listed on the right.